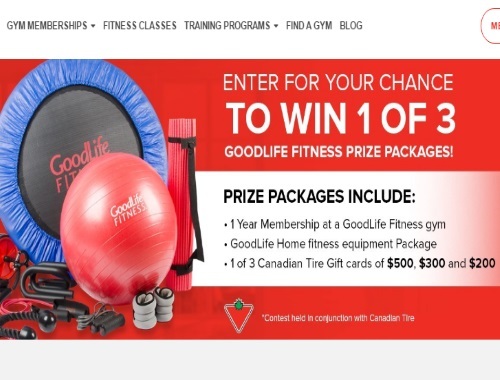 Enter to win a GoodLife Fitness Prize Package! There are 3 up for grabs! Prize Packages include: 1 Year Membership at a GoodLife Fitness gym, GoodLife Home fitness equipment Package, 1 of 3 Canadian Tire Gift cards of $500, $300 and $200. You can also get a Free Pass to try out a GoodLife Fitness club near you (on the entry form just check off the box).